when fashion magazines do editorials “on the street,” they tend to block or blur out any evidence that life exists on those streets. i always look at those and wonder what are passerbys thinking watching amber valletta or kate moss posing in the middle of a street, arms flailing about or legs in a position that mere mortals can’t comprehend. for “live from new york” in v magazine’s fall fashion issue, mario sorrenti shot models freja beha erichsen and sasha pivovarova in times square hanging on street lights, crawling on the sidewalk, and wearing ridiculous headgear and shoes, all while natives and tourists alike looked on. 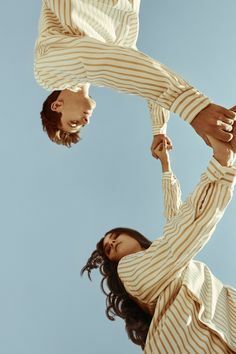 i love sorrenti’s play with perspective along with sasha & freja’s contorting and high wire act creates something energized and frenzied that isn’t based on the environment alone. Previous PostPrevious shop til you drop. Next PostNext model as muse.